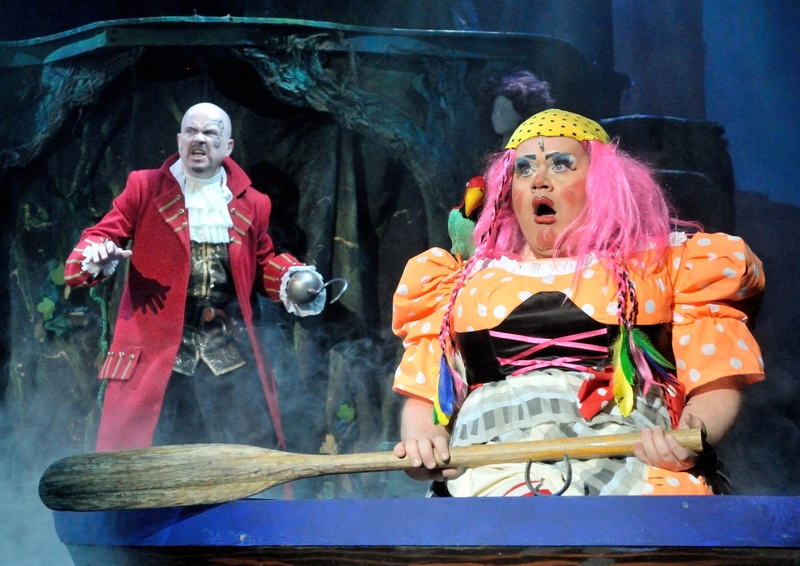 With plenty of puns, pirates and the appearance of Phil Mitchell, the pantomime adaption of JM Barrie’s Peter Pan has flown into Croydon. Quinn Patrick is back for a third year to play the dame, this year in the form of Mrs Smee, and the production is in safe – and silly – hands. David Ribi and Elizabeth Carter make for a likeable Peter Pan and Wendy respectively, with fine renditions of pop and rock numbers, including several Queen hits. Steve McFadden pulls off a softer side to Captain Hook, with just enough snippets of his Eastenders’ bad guy to keep the audience happy. He is strongest when working with others though, and his interactions with Patrick’s Mrs Smee keep children and adults alike laughing. It is Nathaniel Morrison and Kelly Chinery, however, that steal the show. From their interactions as mermaids, to Chinery taking on the role of Indian Chief and Morrison’s less-than-ideal tribesman Brian (call me Beryl), they give their all to the comedy and Tina Turner impressions. 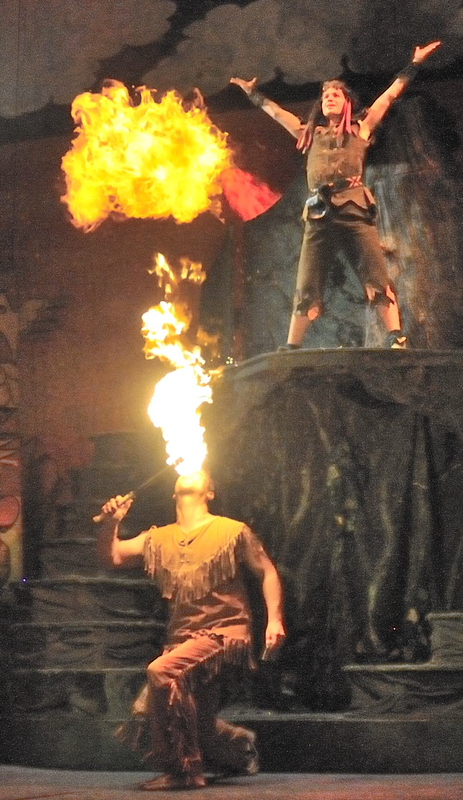 The production is jam-packed full of your typical pantomime jokes, but never fear, you will not have to worry about who’s behind you (and will they notice you running for the door), as Peter Pan is also overflowing with talented cast members, who take on everything from flying to fire-eating. 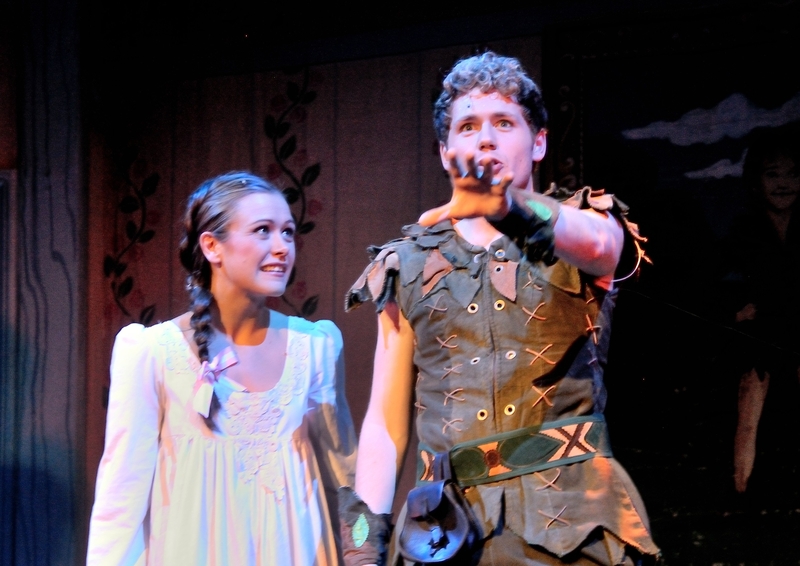 Peter Pan runs at Fairfield Hall, Croydon until 5th January 2014. Tickets are available here. Freelance journalist, musical theatre geek, trampolinist, film maker and disney addict. Twitter addict @louisecmiles.